Providing excellent customer service is one of the top priorities of a successful business. Companies like Zappos have famously built their entire strategy on striving to give customers an amazing experience. It was this single-minded focus that led Zappos to be one of the first retailers to use social media as a customer care channel and sees them continuing to try out different ways to delight their customers. Essentially, happy customers return and spend more money. They don’t only spend more money—just as importantly, they tell their friends and family about the experience. Recent research by Hootsuite found that customers who receive a quick and effective response on social media are three times as likely to recommend a brand to others as those who do not receive a company response. Understanding that social media is a vital part of your customer service is one thing, but knowing that you’re doing it right is another. For many companies, measuring social media customer satisfaction is a new area—one that is often left to the social media manager. 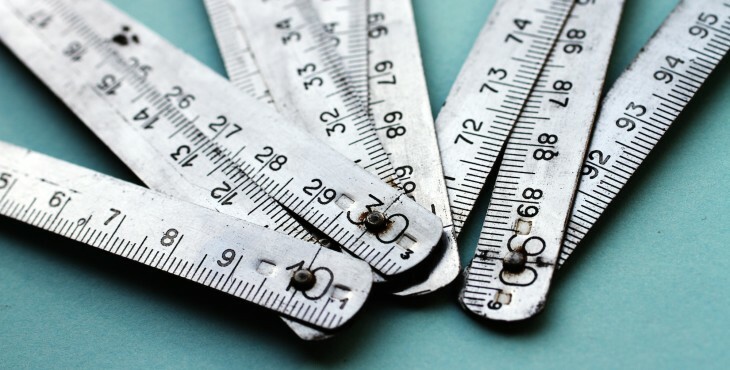 If you’re looking for a starting point, here are 14 metrics you should be tracking to give a full picture of the quality of our customer service. We’ve grouped them into three categories: Volume & Topic, Response and Sentiment metrics. This is simply a measure of how many incoming messages you’re receiving via social. This can demonstrate the need for additional resources and/or indicate more customers are choosing to use social as their preferred contact method. The total number of responses that the company has issued or the total number of enquiries dealt with. Along with inbound volume, this metric can help with making a business case for additional resources. The total number of mentions of the brand (including misspellings) not specifically directed at a company’s official social media account. This metric is obviously most useful when looked at alongside sentiment metrics to identify the nature of comments. By grouping enquiries and comments into categories, you can spot trends in types of problems and identify common queries that may then be resolved faster in the future via searchable help pages or FAQs. This metric can also help to detect potential reputation management problems. Response metrics aim to consider how well the team responded to customers via social. Obviously, the ideal is 100 percent—but realistically, that’s not always possible. You can use this figure to give an indication of how well the company is responding to its customers via social. A measurement of response speed, from the initial comment or question from the customer to the company’s first reply. This measures how quickly, on average, the team or individual replies to a customer’s messages over the course of a specific query. Obviously, it takes organic delays into account—for example, a customer may post a question on Twitter, then check to see if they’ve had a response later in the day. How long, on average, does it take for issues to be resolved? This can also be compared with other channels like phone or email. If you find that it’s quicker to resolve things via social, this metric can help direct resources into the right area. Abandonment rate is a traditional call center measure that can be adapted for social. It measures the number or percentage of queries the customer abandons, without a specific resolution. Deflection refers to the percentage of issues moved to another channel rather than being resolved directly within social. This is an interesting metric as context is important to interpret correctly. Although people generally prefer to converse about problems on their chosen communication channel, with Twitter in particular it can be tricky to resolve complicated issues in only 140 characters. These are arguably some of the most important metrics since they give you insight into how your customers feel about your brand and business. This provides an overall rating of positive versus negative sentiment in relation to the brand. Sentiment metrics can be measured on comments addressed directly to a company’s social accounts, as well as general brand mentions across social. This metric acknowledges that the opinion of your more influential customers is likely to have a greater impact on others. While interesting as a metric, beware of providing a better service to people deemed to be more influential; it’s a strategy that can easily backfire. In order to provide context, it can be useful to measure your sentiment alongside that of your competitors. Ultimately, this may be your most important metric. How do your customers feel about you and your brand when you ask them? Some companies measure the gap difference between social and non-social CSI. The reason is that if the company experiences a major issue, such as a network outage, that may cause overall CSI to come down. In theory, if the social channels are doing a good job, then the drop in social CSI would not be as significant. Net Promoter Score is a slightly different, but well-established, measurement of customer satisfaction. It is now possible to include social sentiment within a traditional NPS model. As with any set of metrics, the figures themselves—particularly volume-based figures—don’t always provide a full picture without some human analysis and overlaid context. But by using some or all of the above, you will be able to build a comprehensive picture of customer satisfaction. This post is part of a new series titled “Business Social,” and is brought to you by Hootsuite.